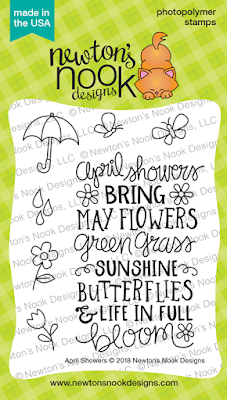 Hollybeary Creations : Newton's Nook April Release Day 4!! 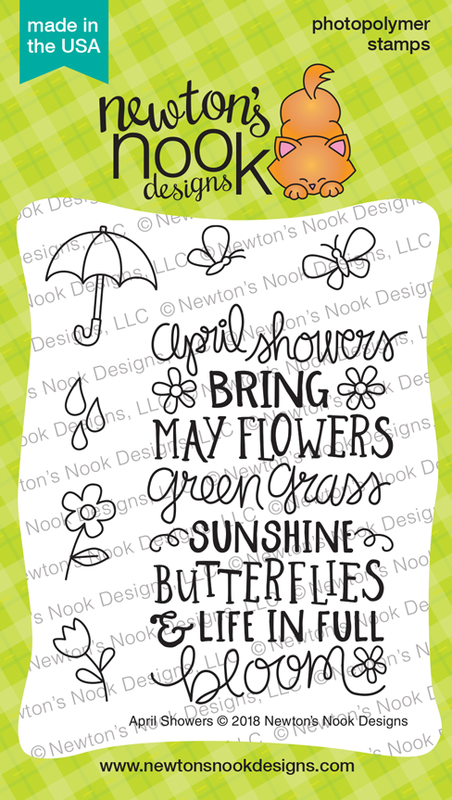 Newton's Nook April Release Day 4!! It's our final day of the April Release sneaks and today we are sharing Little Lilies and April Showers. All of the new products will be available in the store tomorrow Friday the 20th!! 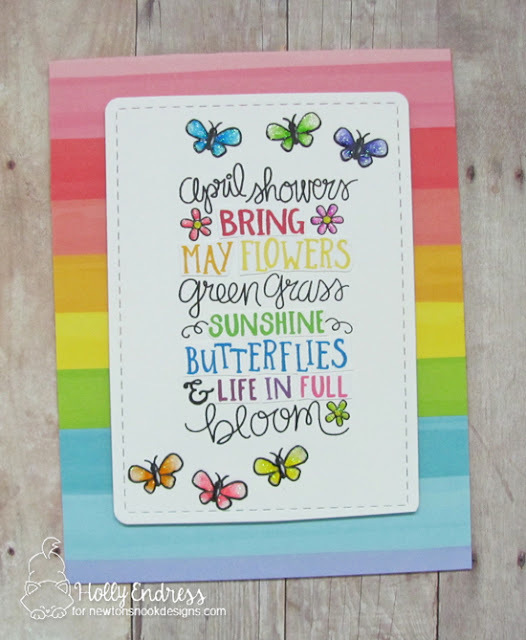 My first card features the new April Showers stamp set. I created an A2 sized card base and added some Rainbow paper for a background. Then I die cut a White panel using the Frames and Flags die set. I stamped the sentiment in Black ink and then again on some scrap paper in several Rainbow colors. I cut out each word and adhered it to the Black sentiment. I colored in the Butterflies and added some Nuvo Clear Glitter Drops for a bit of sparkle. This set has additional fun Spring images you can add as well. 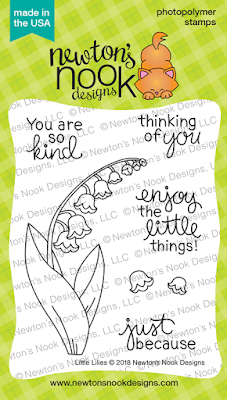 Would you like to win the “April Showers or Little Lilies” Stamp Set? These are both beautiful cards! I love the use of color on the first card and the simplicity of the second! I adore the rainbow stripes and words accented in color on the first card! Such a great idea! 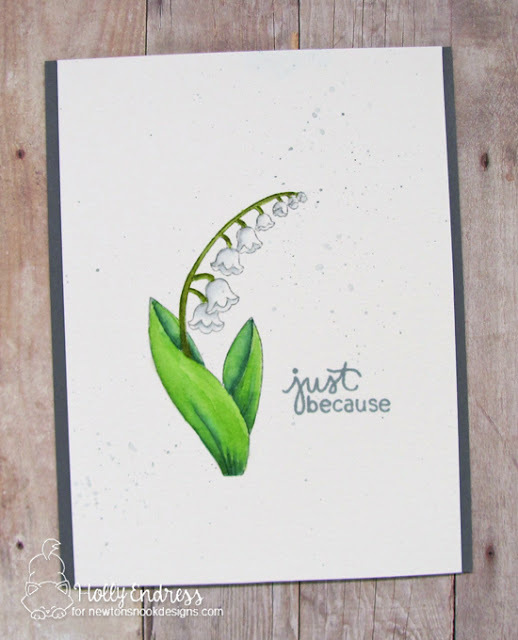 And that sweet lily card is so simple and pretty! Perfect for a spring greeting! I love your cards! That rainbow background is so cheerful and the Just Because card is so soft and perfect! Thanks for the opportunity to win! It was a pleasure looking at your blog. Fantastic cards! Your watercolouring is wonderful! Oh, I really like how you colored the flower and leaves. You are great at coloring!!! Sweet cards and I adore the Little Lily card the most! Great cards, love the lilies and butterflies. Thanks for sharing. Love the simpleness of the second card. ITs wonderful card and so nice stamp set! perfect & beautiful CAS cards EVER! I love the contrast between these two cards! One has lots of colors while the other one has very subtle touches of only a couple of colors! The one uses a whole verse and the other has one small sentiment. But both are absolutely wonderful!! Ooo, I literally looked at your lily card and said "Yes please!" out loud. That's my ideal kind of card: CAS and elegant with beautiful coloring. Thank you so much for sharing! Beautiful cards. I love the rainbow background, Thanks for sharing. Very pretty cards - love the lily of the valley stamp and die. Great cards. Love the simplicity of your second card. It's just perfect! I'm in love with these spring cards!! Great new release–such a diverse selections–I especially like the Spring images! I like the rainbow of colors on the first and the simple design on the lilies card. Beautiful job coloring with your distress inks. 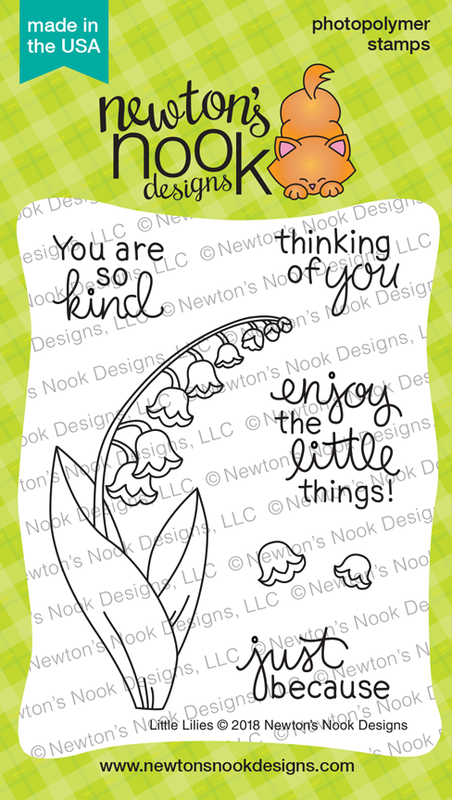 Rainbows and Lillies, what a perfect match for two fabulous cards !